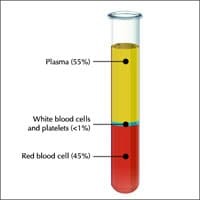 The Platelet Rich Plasma (PRP) therapy is a revolutionary pain treatment therapy involves injecting platelets from the patient’s own blood to rebuild a damaged tendon or cartilage. It has been successful in not only relieving the pain, but also in jumpstarting the healing process. The patient’s blood is drawn and placed in a centrifuge for 15 minutes to separate out the platelets. The platelet-rich plasma is then injected into the damaged portion of the tendon or cartilage. The body’s first response to soft tissue injury is to deliver platelet cells. Consult Spinomax Pain & spine to find out if you are right candidate for Platlets rich plasma (PRP) treatment.